As citizens we are all on duty… the day of evil has come. 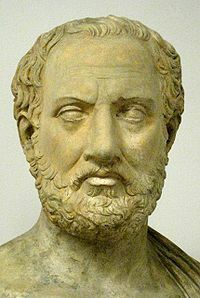 The Funeral Oration of Pericles (excerpts below) is a translation from The Peloponnesian War of Thucydides (emphasis mine). 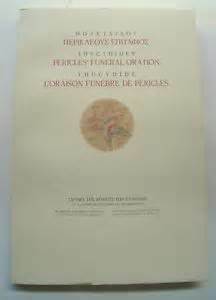 You may read the English translation of the full text transcript of Pericles’ Funeral Oration, according to the Greek historian Thucydides here and here with background. Pericles delivered this speech in the year 431 BC. 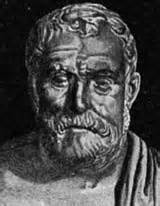 Pericles: “I shall begin with our ancestors. It is both just and proper that they should have the honor of the first mention on an occasion like the present. They dwelt in the country without break in the succession from generation to generation, and handed it down free to the present time by their valor. And if our more remote ancestors deserve praise, much more do our own fathers, who added to their inheritance the empire which we now possess, and spared no pains to be able to leave their acquisitions to us of the present generation. “Our constitution does not copy the laws of neighboring states. We are rather a pattern to others than imitators ourselves. Its administration favors the many instead of the few; this is why it is called a democracy. If we look to the laws, they afford equal justice to all in their private differences; if no social standing, advancement in public life falls to reputation for capacity, class considerations not being allowed to interfere with merit; nor again does poverty bar the way, if a man is able to serve the state, he is not hindered by the obscurity of his condition. [These men] “… holding that vengeance upon their enemies was more to be desired than any personal blessings, and reckoning this to be the most glorious of hazards, they joyfully determined to accept the risk, to make sure of their vengeance, and to let their wishes wait; and while committing to hope the uncertainty of final success, in the business before them they thought fit to act boldly and trust in themselves. Thus choosing to die resisting, rather than to live submitting, they fled only from dishonor, but met danger face to face, and after one brief moment, while at the summit of their fortune, escaped, not from their fear, but from their glory. The good news: as of today, Saturday, June 13th 2015, Staff Sgt. Thomas Florich WILL be buried in Arlington National Cemetery…as a guardian of civility. Those of us in the Kingdom of Heaven on earth must not seek revenge, as Pericles mentioned above. Rather we must stand firm when required and also defend with our actions what is true and good and the widow and orphans. And pray in the Spirit on all occasions with all kinds of prayers and requests. With this in mind, be alert and always keep on praying for all the Lord’s people.” From the Apostle Paul’s letter to the churches found in Ephesians chapter 6: 10-18, (circa 60-80 AD).